From 01 April to 30 Sep 2014: 03 nights / 04 days per couple. Rs. 24000 Deluxe, Rs. 31000 Suite Ex. Bed: 9600 Suite, Ex. Child: 7200 Suite. Includes: Single / Double Same. Return airport / madgaon railway station transfers by ac coach, stay in well appointed ac room, buffet breakfast, lunch and dinner at Cosmos our fine dining restaurant, Comfy robes, and lots & Many More..
We have experience since 2005, we are offering attractive tour packages for all kinds of trips, whether business or leisure. 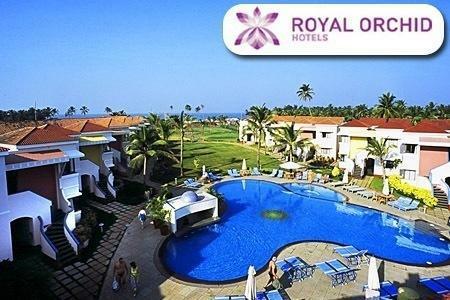 Our services mainly relates to making hotel reservations in Goa 5* Hotels and 3* & 4* Hotels. Apart from Goa, we also provide packages for domestic trips to other states like Rajasthan, Himachal Pradesh, Uttaranchal, North-East, and South India. The services offered by us encompass ticket booking, hotel reservation and car rentals. Offering high class services to our clients from corporate sector, we make complete arrangements for conferences, conventions, exhibitions, seminars, cocktails, and other social events. Based on our domain expertise and experience, our experts can also provide suggestions for suitable venue, theme and other issues like these. We have earned immense credibility in the market for offering highly cost effective, comfortable and convenient hotel booking packages. We can also especially customize the packages for meeting the individual expectations of our clients, most reasonable prices. Our organization is strategically located in Delhi, thus, making us accessible from each and every corner of the country. Owing to our customer centric approach, ethical business policies and quality services, we have earned immense credibility and faith in the industry.